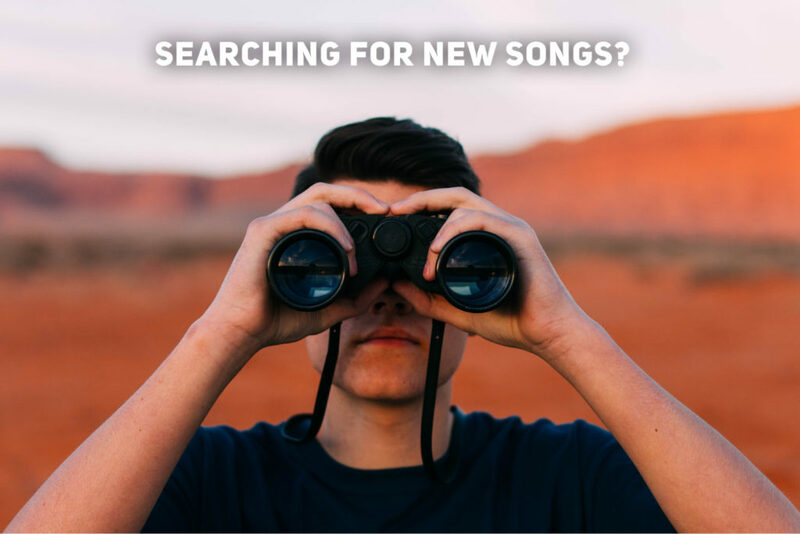 If you’re a worship leader, you may or may not be surprised at the go-to resources for finding new worships songs. Here were the responses and sources worship leaders are using to find new worship music. 38% of worship leaders responded that they find their new music on streaming services such as Spotify, Apple Music, Amazon, etc. The majority of the responses were for Spotify, over 90%. One Spotify feature that many like is when you create a playlist of your favorite worship songs, Spotify will suggest other songs that might fit your playlist, thus new music can be discovered and added. 33% responded that they find their new music on YouTube. YouTube also has similar algorithms in regard to assessing the content you watch most often and making related suggestions. So we can see this being a good way to discover new worship songs. Plus, take a look at popular worship artists and the number of views their lyric videos or live performances rack up … pretty impressive numbers. “What A Beautiful Name” by Hillsong has 251 million … MILLION … views since it was uploaded in September of 2016. That’s incredible by any artist standards in any genre. YouTube and Spotify go hand-in-hand in regard to popularity among worship leaders. 14% find new music by having their worship team suggest new songs. That makes sense. Surveying your worship team not only provides a good sense of “contribution” but keeps your team members motivated in the quest to stay current with the old and the new in worship music. Familiarity is one of the first goals in practice and rehearsal! 14% of worship leaders responded that they simply follow the current popular worship artists such as Hillsong Worship, Elevation Worship, Bethel Worship, Vertical, etc. in order to catch new releases from those with a track record for releasing great worship music. The Other Sources for Worship Leaders? The remaining responses make up the final percentages of outlets worship leaders turn to in regard to finding new worship music. Some are as simple as the occasional Google search. Others have favorite worship resource websites they tap for new worship song discovery. Some follow worship charts while others state that they join worship leader groups on social media who share the latest and greatest worship songs they have found … more than likely those sharing new worship song finds are probably using one of the first two methods listed above, Spotify or Youtube.